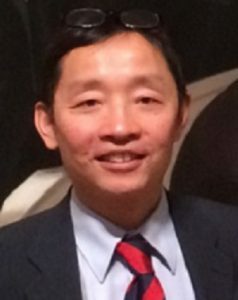 Professor Ken Ong co-leads the Unit’s Growth and Development programme with Dr John Perry. His research in the Unit and at the Department of Paediatrics, University of Cambridge identified rapid postnatal growth, weight gain and early reproductive timing as determinants of, and also potential targets for the prevention of, childhood obesity, type 2 diabetes and related disorders. His programme studies the mechanisms that underlie these developmental trajectories to disease risk. He works closely with the Unit’s other research programmes in the aetiology of diabetes and related metabolic disorders and in the development and testing of behavioural interventions to prevent childhood obesity. As well as his research work, Ken is an honorary consultant paediatric endocrinologist and the clinical lead for childhood obesity at the Cambridge University Hospitals NHS Trust and he chairs the Scientific Advisory Committee on Nutrition’s Subgroup on Maternal and Child Nutrition. He obtained his PhD in Paediatrics following research at the Universities of Oxford and Cambridge, using large population-based studies to explore gene-environment interactions in fetal and early childhood growth. Ken has been with the MRC Epidemiology Unit since 2005.